← Homemade Gingerbread Coffee Syrup Recipe! Have no Fear. 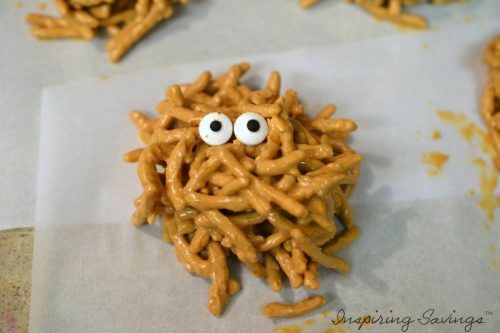 These No Bake Mummy Haystack Cookies are made with Chinese noodles, butterscotch, white chocolate, and optional peanut butter. Perfect Halloween treats, snack or party food. It is almost time for Halloween. 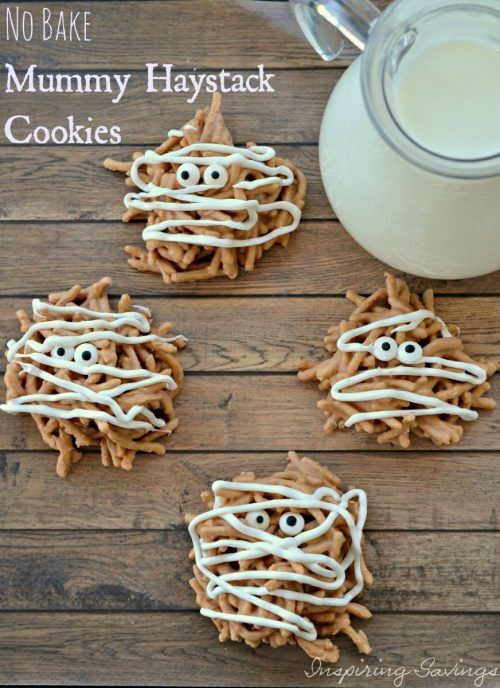 Do you have a simple recipe that will make your little goblins & ghost happy? 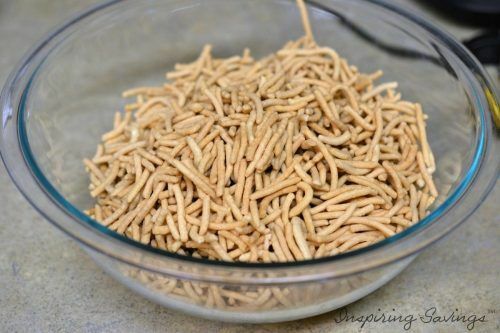 I love this Easy No Bake Mummy Haystack Cookies. They take the pressure off of having to present a complex dessert that looks amazing. You can now let the fun begins with spooky spiders, cobwebs, tombstones, easy to make cookies and eerie laughter. As with any party or get together, the food is ALWAYS the main attraction, so you should make it as deliciously creepy as possible. After this recipe, you will find a list of some of my other favorite treats to make. Just a side note; if you have kids with allergies you can simply omit the peanut butter, but make sure you add in more butterscotch morsels to make up the difference. 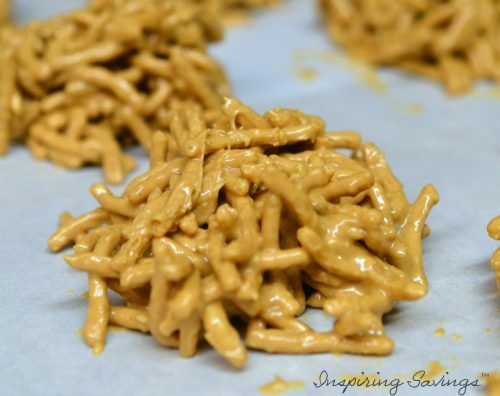 Get ready to have a blast with your kids making these Easy No Bake Haystack Cookies. 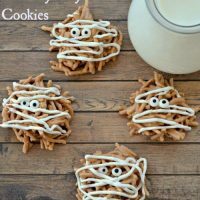 These No Bake Mummy Haystack Cookies really come to life once the eyes are placed on the cookies. 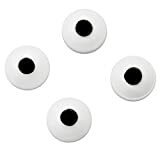 “I see you” I purchased these Candy Eye Balls to create these cookies. Instead of using a sandwich bag, you can also use a piping bag with tip #3. You will miss out on the convenience of just tossing away the mess. Unless of course, you are using a disposable piping bag. 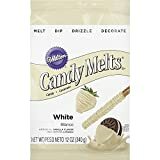 I used the Wilton White Candy Melts which can be purchased online or at your favorite craft store. 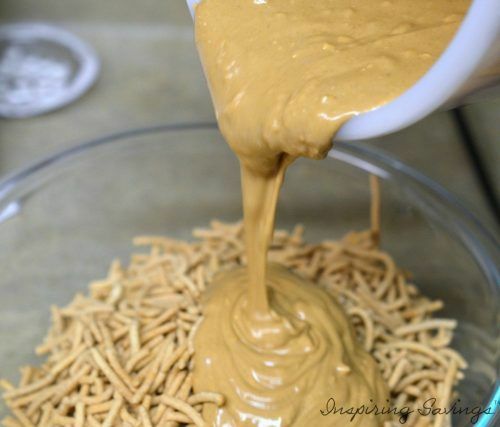 Pour the bag of butterscotch chips into a microwave safe bowl. 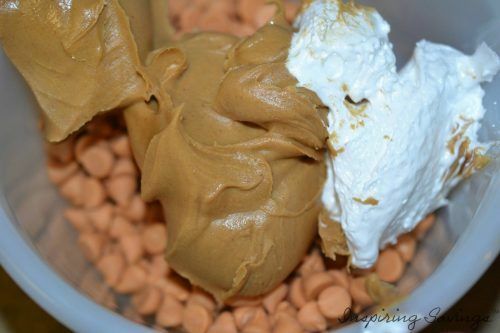 Add the peanut butter and microwave, stirring every 30 seconds until melted. Add the marshmallow cream and stir well. Microwave for 30 seconds more if needed to get it to a smooth texture. Pour the butterscotch mixture on top and stir coating all of the lo mein noodles. Tear a piece of parchment paper and line the counter. Parchment paper is important because it will keep anything from sticking. This is the hardest step! Allow to sit and harden. Once the haystacks have set, melt the white candy melts. 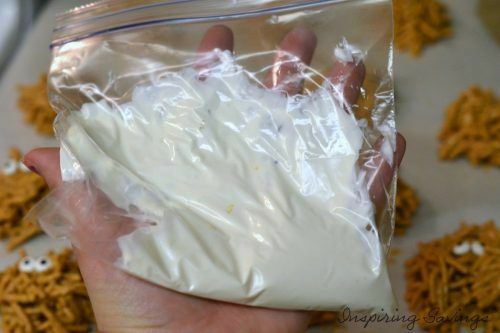 Pour into a plastic bag and cut a small hole in the corner of the bag. Make several motions creating the mummy look. Allow until candy coating has set. Spooky Spider Oreo Cookie Recipe!